The bus which brought us from Hangzhou railway station dropped us at West Lake district, the place where we would stay for two night before leaving for Shanghai. Five hours riding on the bullet train while looking at the scenery outside the window didn’t let me close my eyelids and made me feel so sleepy. Therefore, once we found the hostel, I took a nap a while at a very cozy and homy dorm. 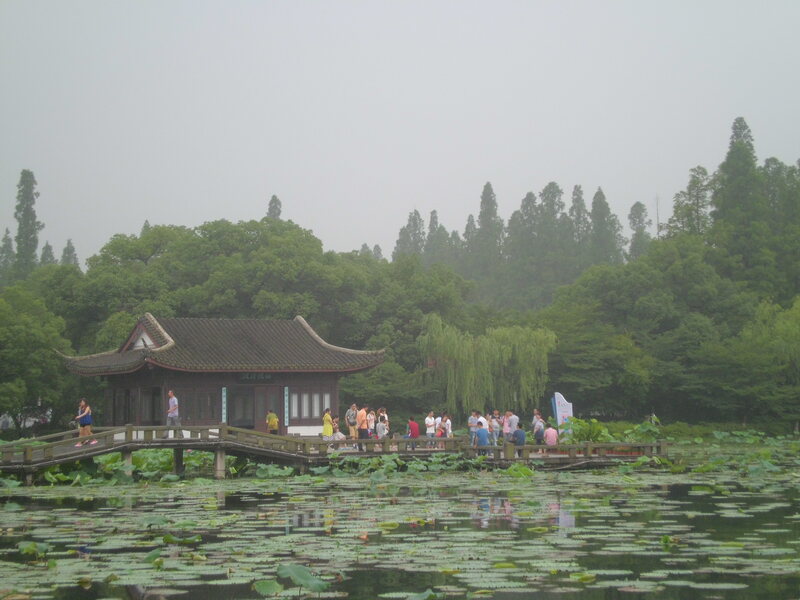 In 2011, West Lake or Xī Hú in local language has become one of UNESCO world heritage because of its natural beauty and historical relics which influenced poets, painters and some Chinese garden designers for centuries. 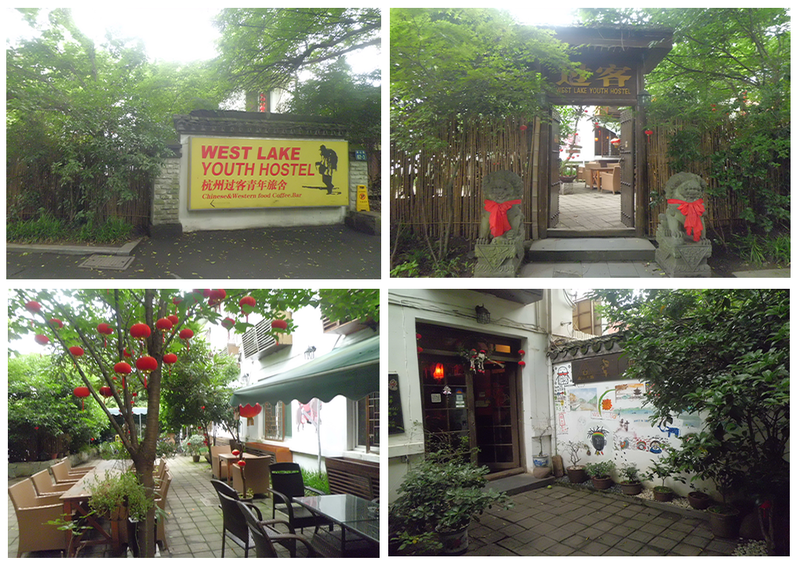 West Lake is surrounded by some temples, gardens, pagodas and some artificial islands. 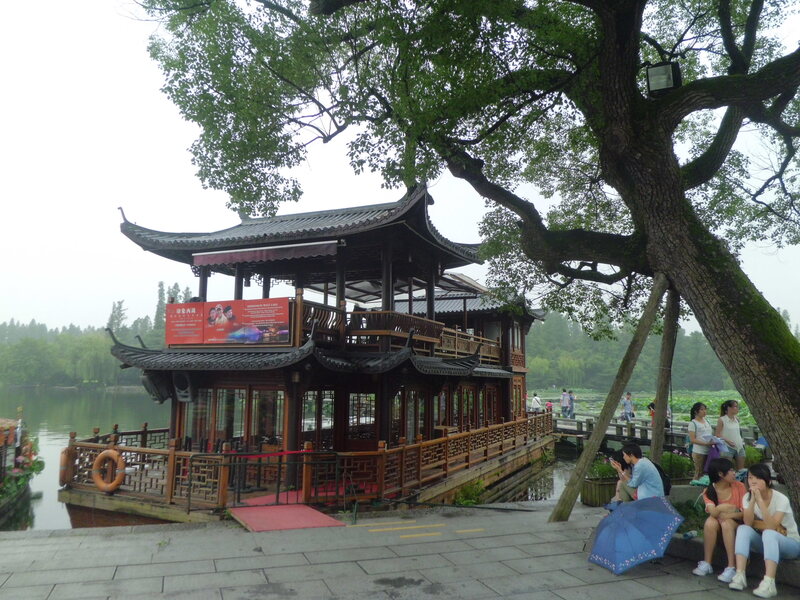 And one of must visit site is Leifeng Pagoda. This is where–as the legend was told–madame white snake was jailed for her repenting meditation. Yup, White Snake Legend is a famous Chinese oral tradition about a love story between white snake spirit (Bai suzhen) and a human (Xu Xian). They met at the Broken Bridge on a rainy day. Xu Xian lent her umbrella and then they fell in love one another. They married and moved to Zhenjiang, opening medecine shop. Fahai, a Buddhist monk, came to town to hunt Bai Suzhen. He told Xu Xian to let his wife drink realgar wine when Duanwu/ Dragon Boat festival came. After drinking the wine, Bai Suzhen revealed her true form as a large white snake and made XU Xian shocked. 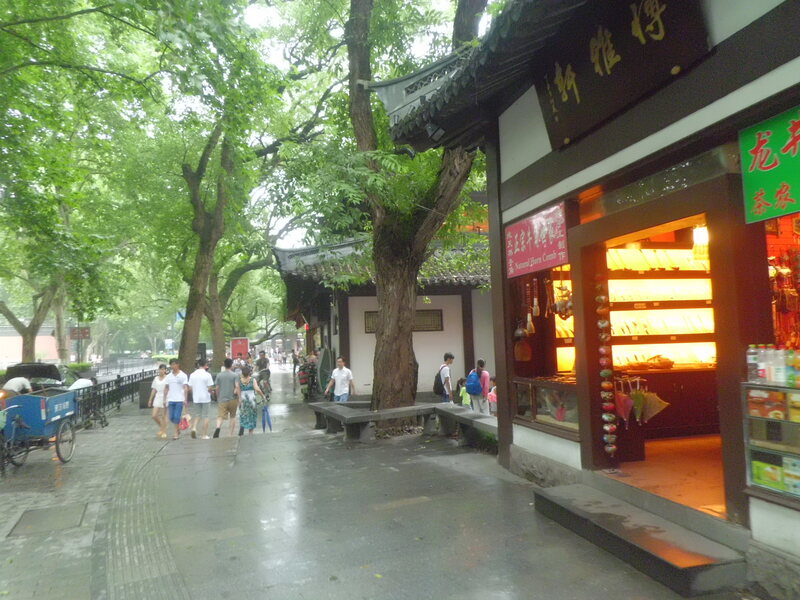 Fahai then took Xu Xian to Jinshan Temple, separated him from Bai Suzhen. 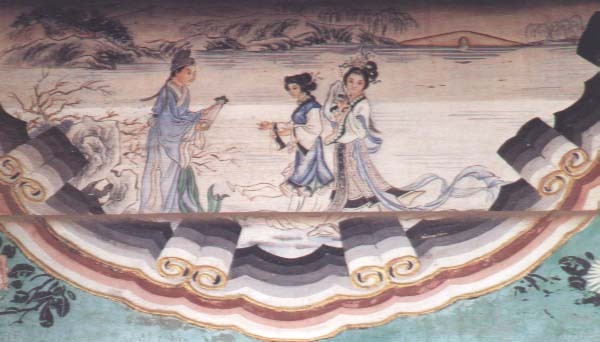 Getting mad, Bai Suzhen and her maid, green snake spirit names Xiaoqing came and tried to flood the temple. Because of this anger, many people were drowned and dead. In the end, Bai Suzhen was defeated because her pregnancy could not maximize her power to fight against Fahai. 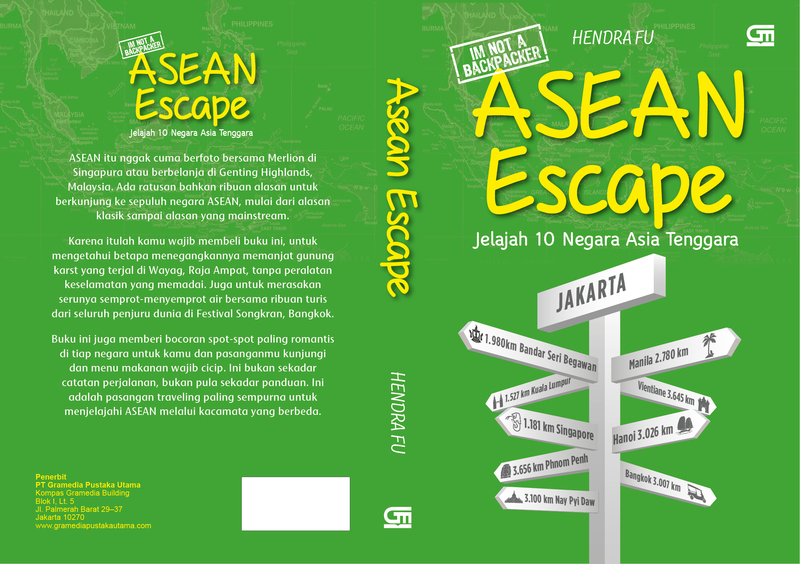 Fahai caught her and locked her in Lei Feng pagoda. Ok, enough for the sad story. The evening had come and we continued our sightseeing time. The lake is not really far from our hostel, just a few walk. 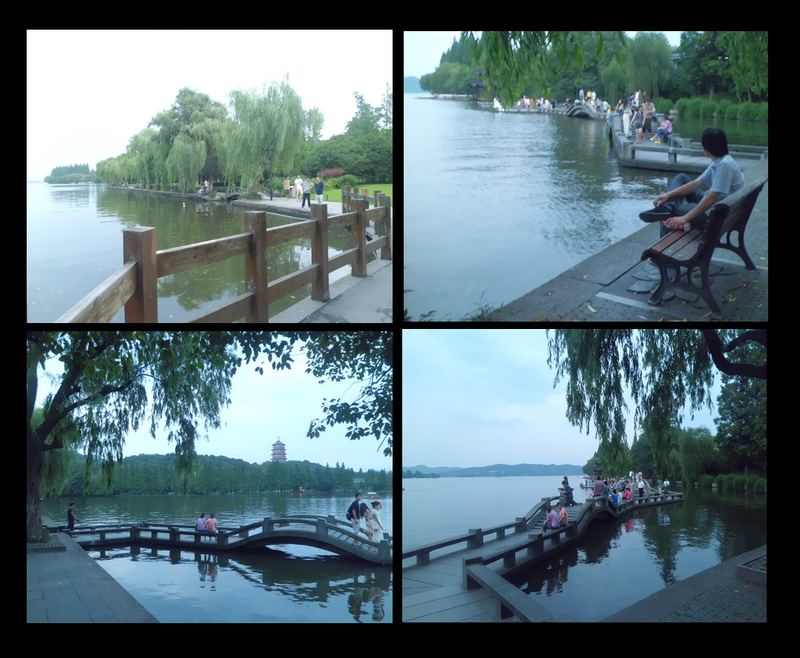 West lake is so peace and tranquil. Its barely visible ripples made the trees reflected on its surface. Some visitors sat on the bench provided at the edge. 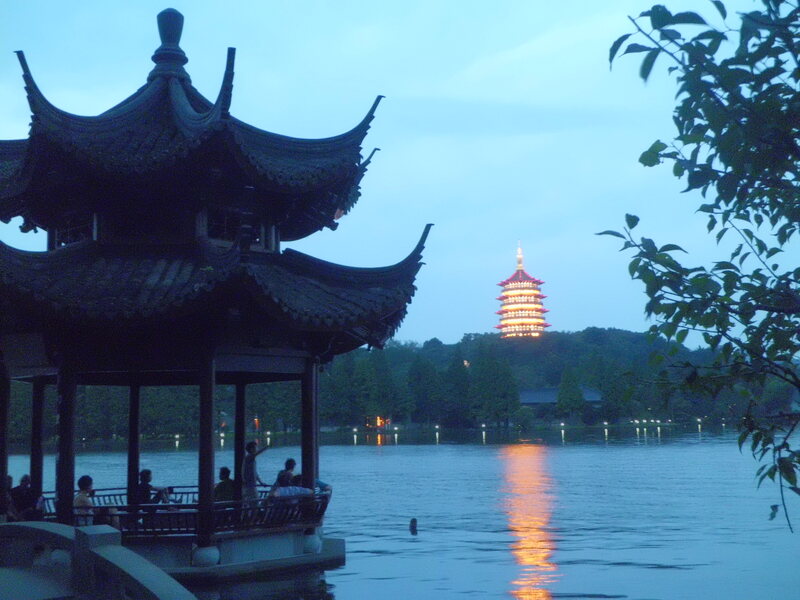 And from a distance, there’s seen Leifeng Pagoda’s light which began to glow. 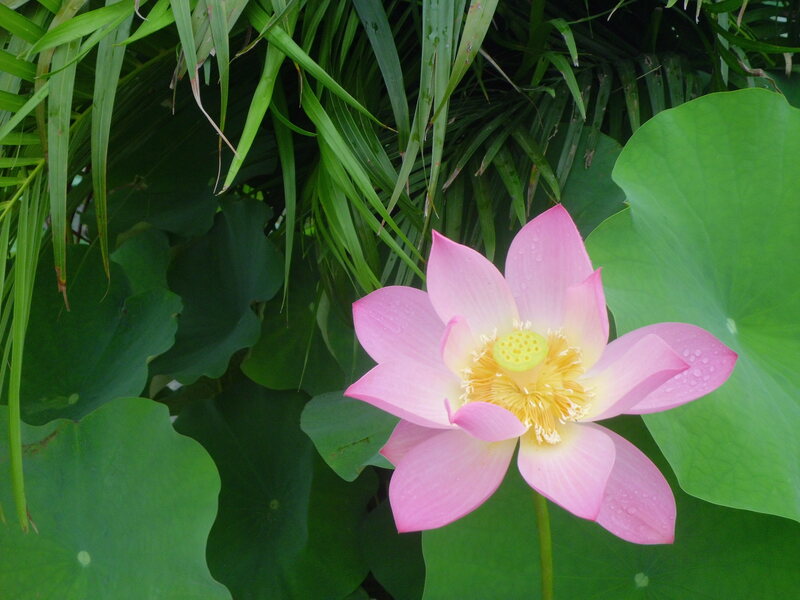 Approximately 10 minutes riding on a bus, we can visit another side of the lake which is filled with lotus flowers floating on the surface. There, we could see also two arched bridges covered by creeping roots. On the next day, I paid a visit here with my family. The bus dropped us at a gate which was surrounded by food stall. A few walk from there, I could see crowds were taking some photos. Some docked boats decorated with colorful flowers also became photo session background. 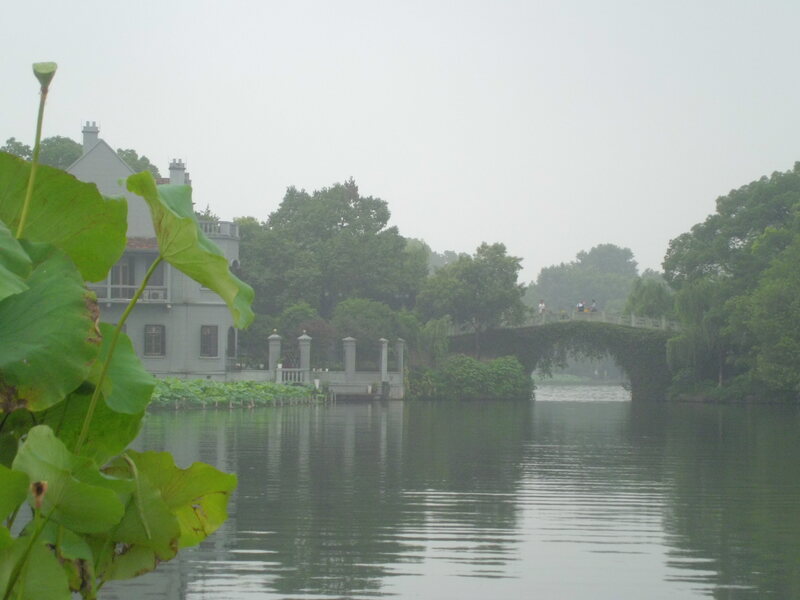 West Lake is a perfect place to enjoy the silence of nature. Anyone who has just felt tired of the hustle and bustle Beijing and Shanghai’s hustle and bustle, it’s worth to take a little time to chill here. 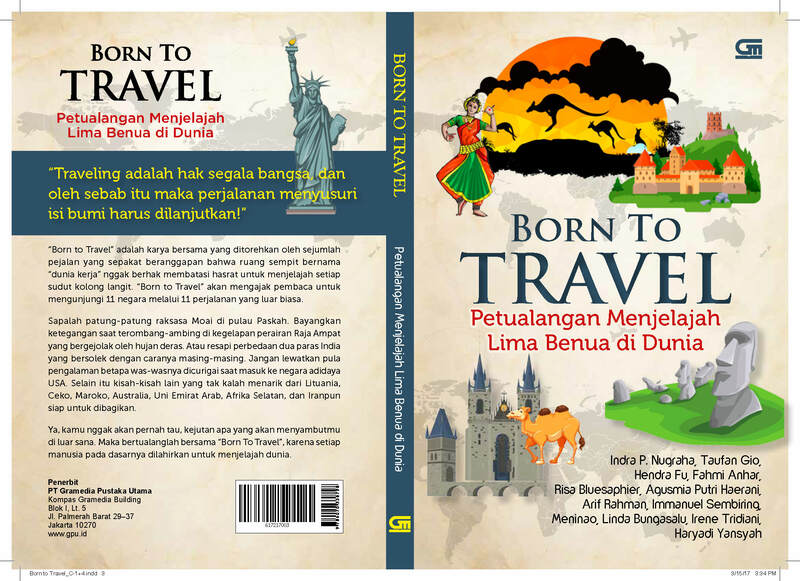 No wonder if this place is inspiring for any artists, since its landscape is really fascinating.